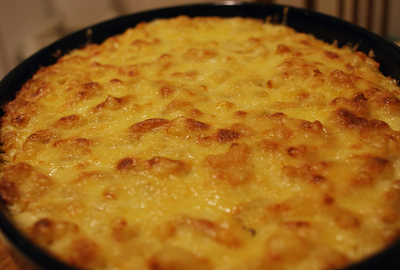 I've been looking for a new mac n' cheese recipe, with something to substitute the macaroni...when I recently stumbled upon this cheesey quinoa casserole. It also has diced broccoli in it...delish! Lightly saute any veggies you would like in this dish. Preheat oven to 350 F. Coat 13x9 inch dish( or 8 individual ramekins) with cooking spray.Whisk together eggs and milk in large bowl. Fold in quinoa mixture and cheese. Stir very well and let some of the cheese melt. Transfer to prepared baking dish and if using Panko Crumbs or Bread crumbs add now and bake 30-35 mins, until bread crumbs are browned. When you say 1 1/2 cups quinoa...is that 1 1/2 cups cooked or 1 1/2 cups uncooked? Trying to figure out weight watchers points! Rachel, it is 1 1/2 cups uncooked and you should prepare according to package instructions. Hope you enjoy!